On 8 September 1943, the date of the Italian armistice, there were thousands of foreign citizens interned in concentration camps or held in fascist prisons in Italy. We do not know their exact number but we know that most of them came from the occupied or annexed territories of Yugoslavia (Slovenia and Croatia). Montenegrins, Greeks and Albanians were also present, though in smaller numbers. The internment and deportation of civilians constituted, along with burning down villages and death by firing squad, the main forms of violent repression used by the Italian authorities against the population of the occupied countries. 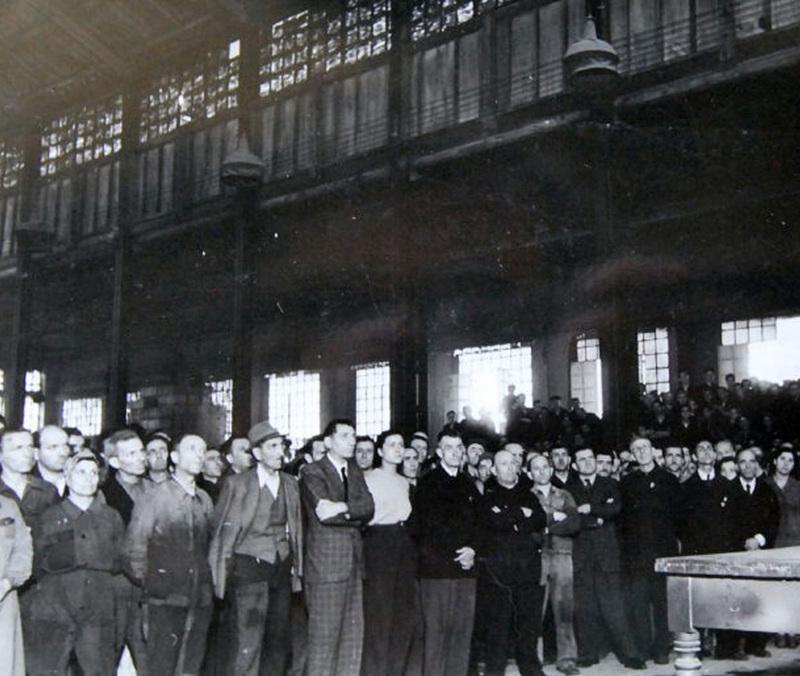 Men and women suspected of belonging to partisan bands, or even of nurturing anti-Italian sentiments, were deported to concentration camps in Italy. On some occasions, all those individuals belonging to a particular category were deported, as in the case of the students and teachers from Ljubljana or Novo Mesto. Even the inhabitants of those villages which had been set on fire during reprisals ended up being interned and deported, as did "relatives of the rebels", that is, all close relatives - including the elderly and children - of a man or woman who had left home without a valid reason and was therefore suspected of having joined the partisans. In Italian prisons there were also many deported civilians who had been condemned by military war tribunals on charges such as committing hostile acts against the Royal Army, or again, of belonging to "armed gangs". With the fall of fascism, on 25 July 1943, none of these people were freed from imprisonment or internment. Indeed, during the 45 days of the Badoglio government no stop was put either to the transfer of internees from southern Italy to the safer concentration camps in the centre-north ahead of the Allied advance, or to arrests and deportations; this was particularly true in the case of Slovenes from the province of Trieste. Where some some concentration camps were concerned, for example Cairo Montenotte and Renicci di Anghiari, the deportees were not allowed to escape even after 8 September. Not a single foreign political prisoner was released from gaol. It was due this behaviour on the part of the Italians following 8 September 1943 that a large number of internees and political prisoners fell into in German hands; as a consequence they were subjected to a second deportation, on this occasion from Italy to Nazi concentration camps, where they were exploited as forced labourers. Adjacent to this introduction you can find a first set of topics relating to the places involved in this "double deportation", more spedcifically, that originating from Italian prisons. The research carried out in Italian, German, Slovenian, Croatian and Serbian archives has also allowed us to compile an initial partial database of civilians from the Yugoslav territories who were victims of this "double deportation". At the moment the database - available at this link – illustrates the deportation routes taken by about a thousand people.